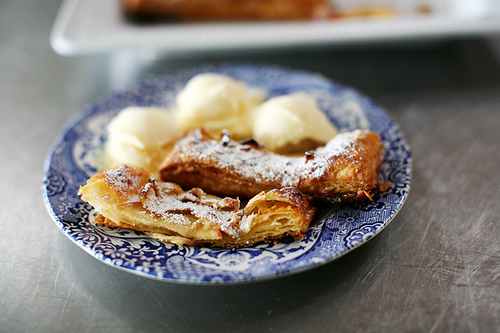 Apple desserts have gone way beyond apple pie these days! 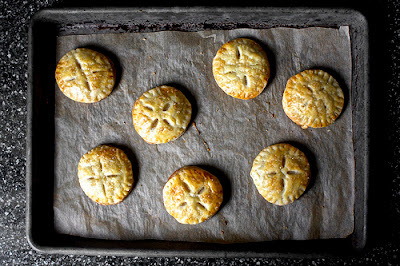 Smitten Kitchen made these adorable apple pie cookies - how cute are they?! 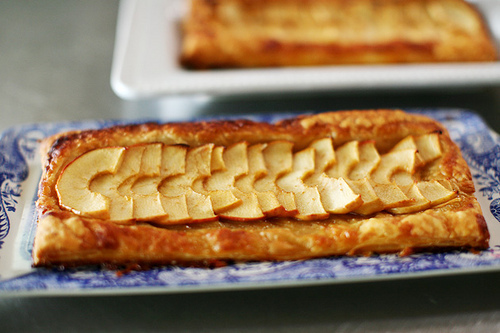 Pioneer Woman makes a beautiful and simple apple tart using pre-made puff pastry. YumSugar showcased a bunch of apple recipes, including this Caramel Apple Bar/Brownie concoction..YUM. Whoops...I think I talked about dessert first :) How about some savory apple dishes? 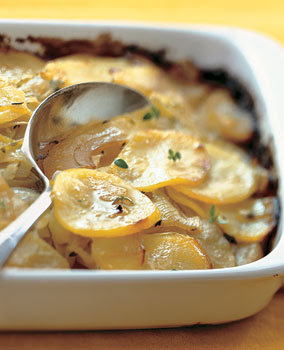 This apple, potato and onion au gratin from Bon Appetit would make a perfect fall side dish! Apple on a Pizza? 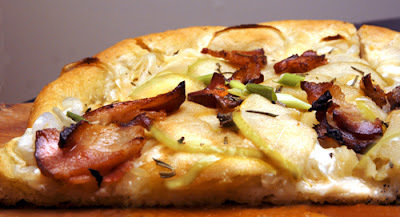 Why not...Pair sweet apple with bacon for a salty and sweet combination! 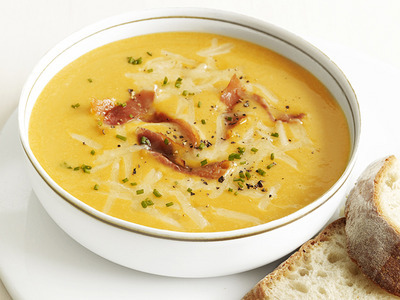 Now this is something I'm going to have to try: Apple Cheddar Squash Soup from the Food Network - how yummy does that sound? Mr. Fo found the first apple of the day! 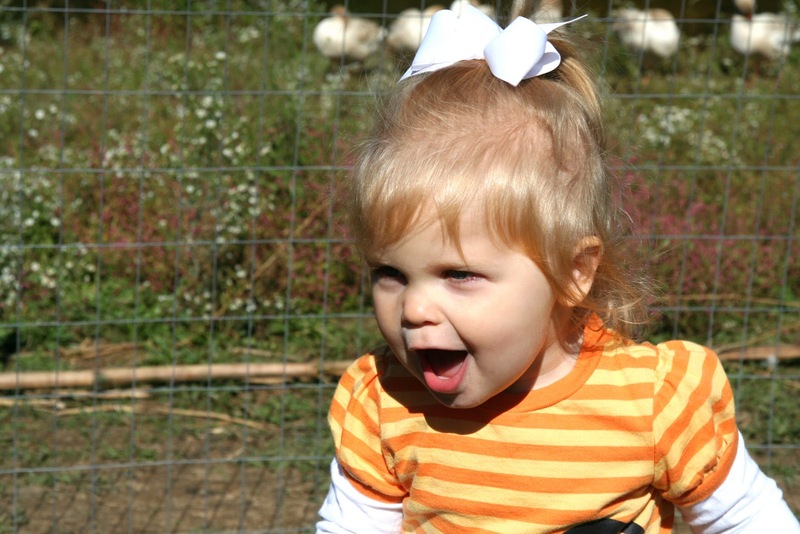 Gorgeous scenery at the duck pond! Cute apple signs that indicate what types of apples on each row! This was a great fall activity, and I really think that aplesp you pick with your bare hands (while up in a tree) taste fresher and sweeter. Love this post... I recently did my own apple adventure and brought home 60 lbs of apples. I would have loved to seen some of these recipes first! I might just go buy more now. Oh, and Brooke= SO CUTE!